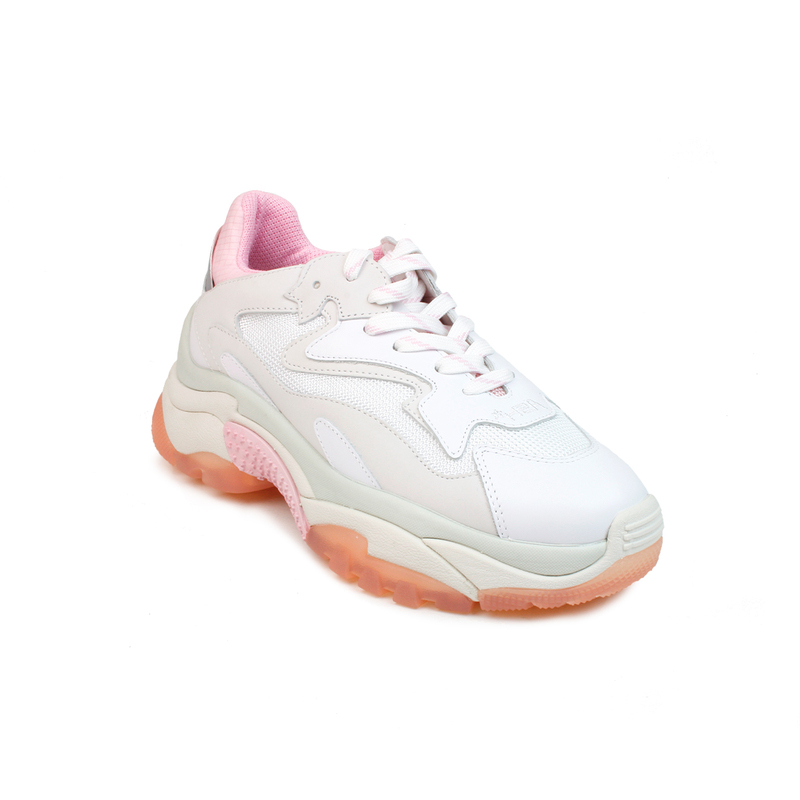 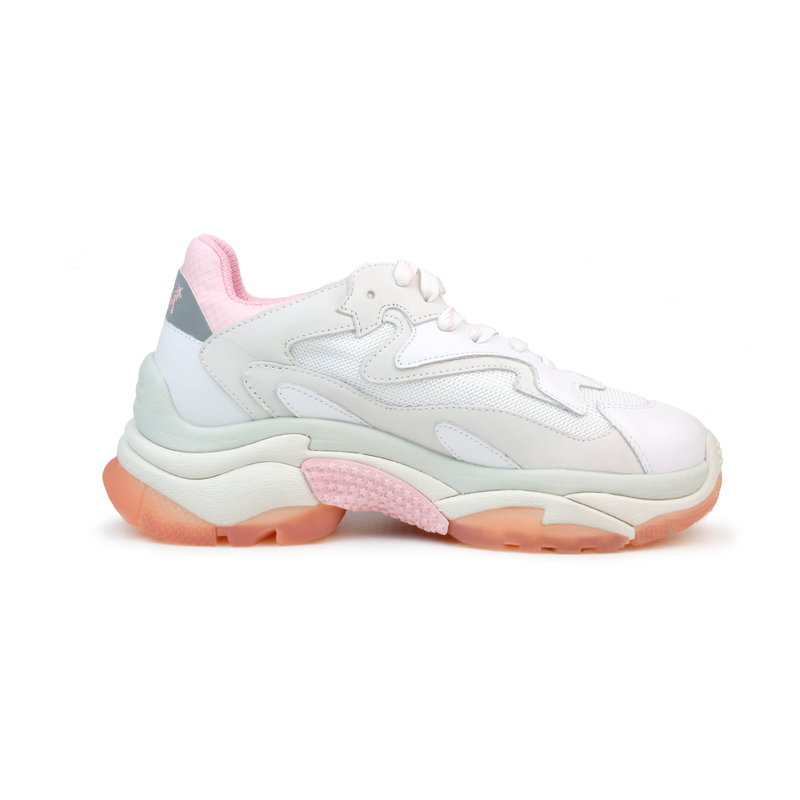 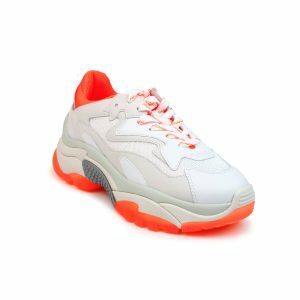 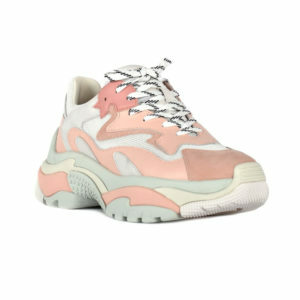 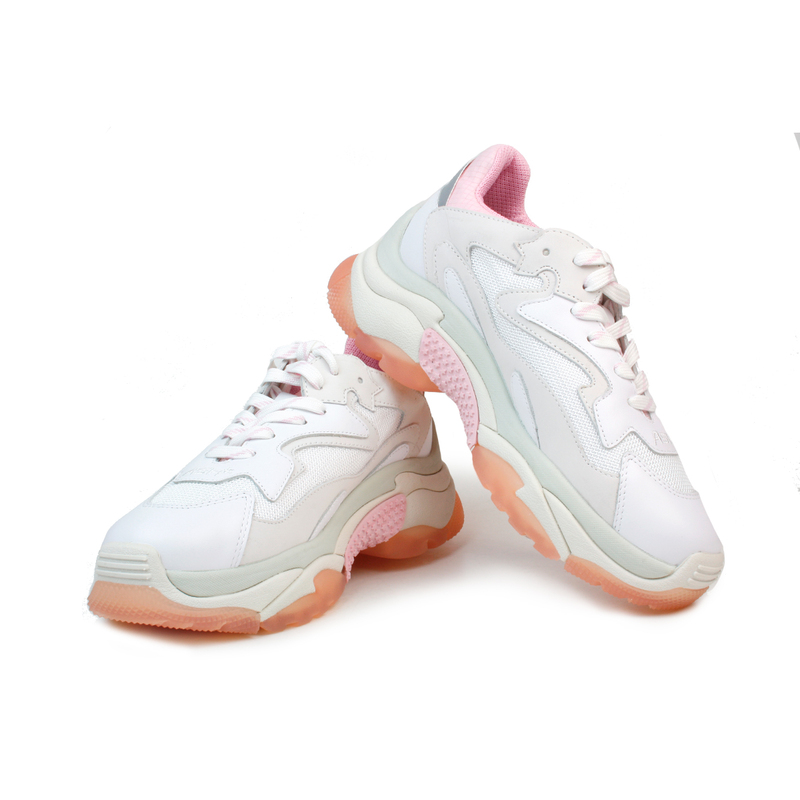 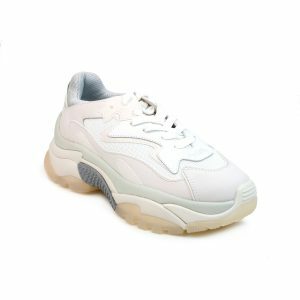 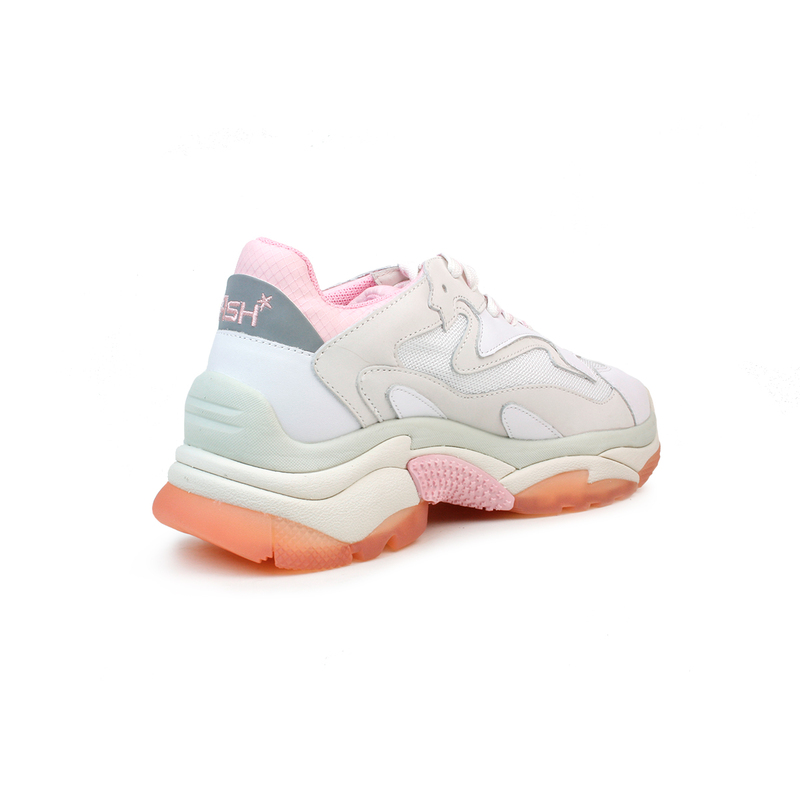 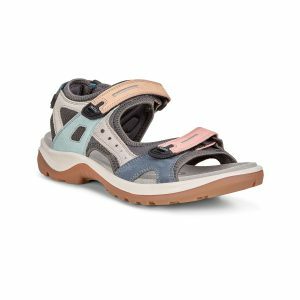 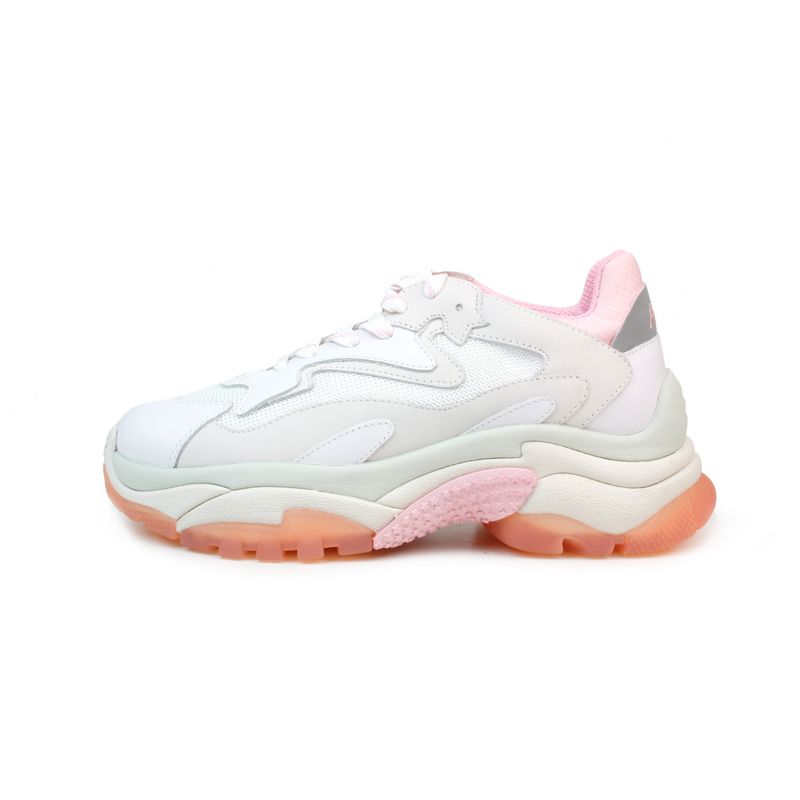 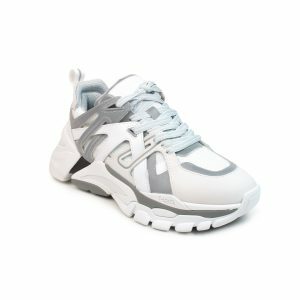 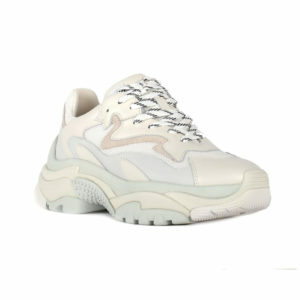 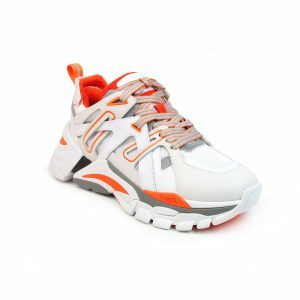 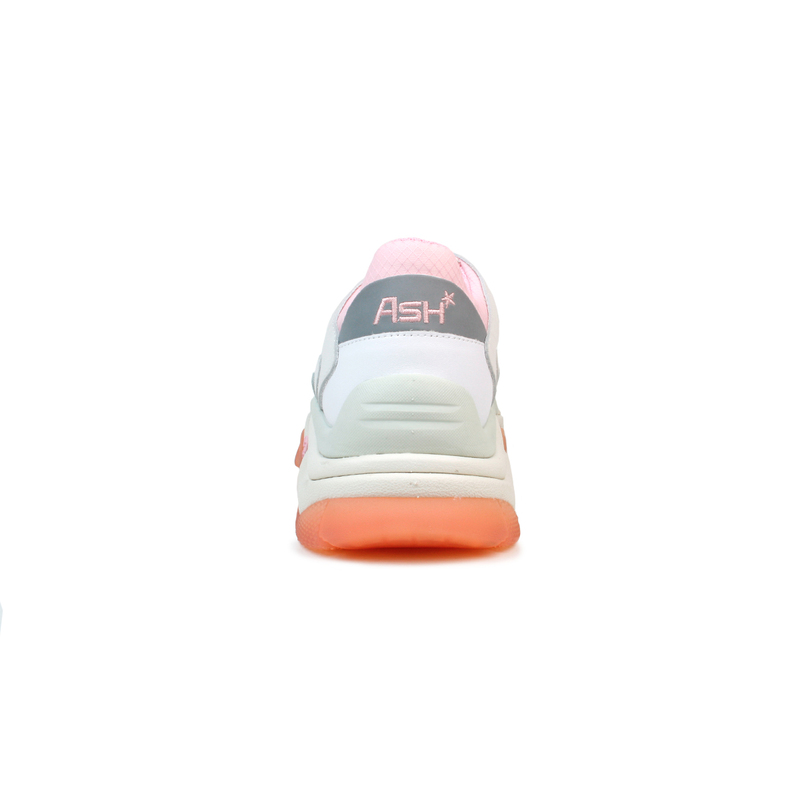 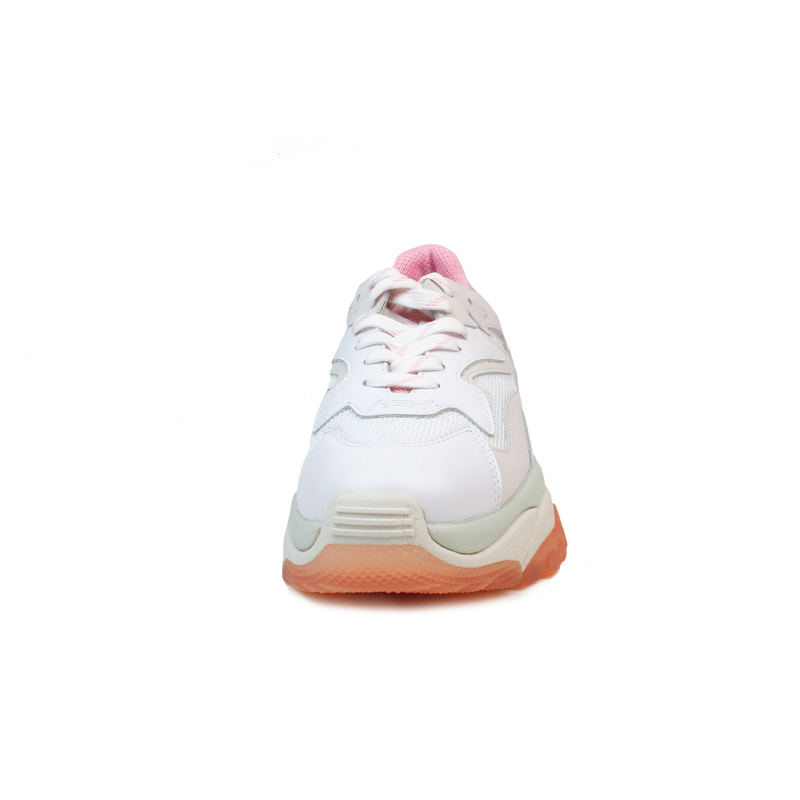 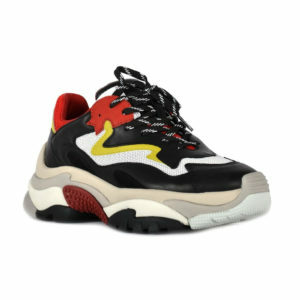 The Ash Addict sneakers are a 90’s inspired style constructed with leather and suede panels in white & pink which sit on top of a white mesh under layer. 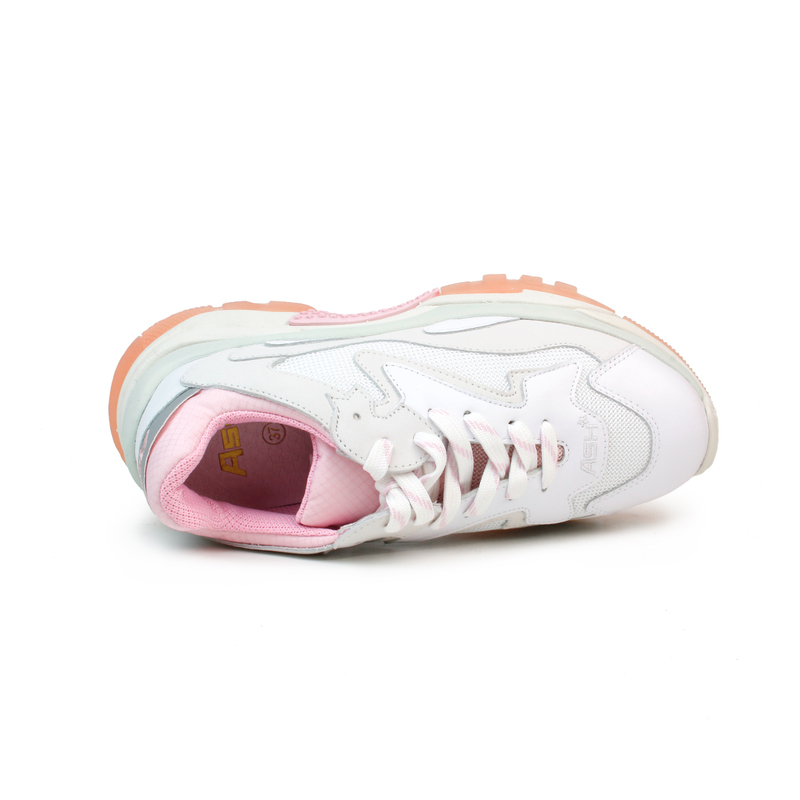 This sneaker style offsets the classic old skool appeal with it’s exaggerated chunky rubber sole in pastel multi-tones. 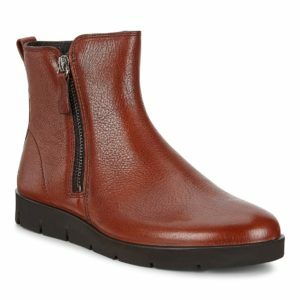 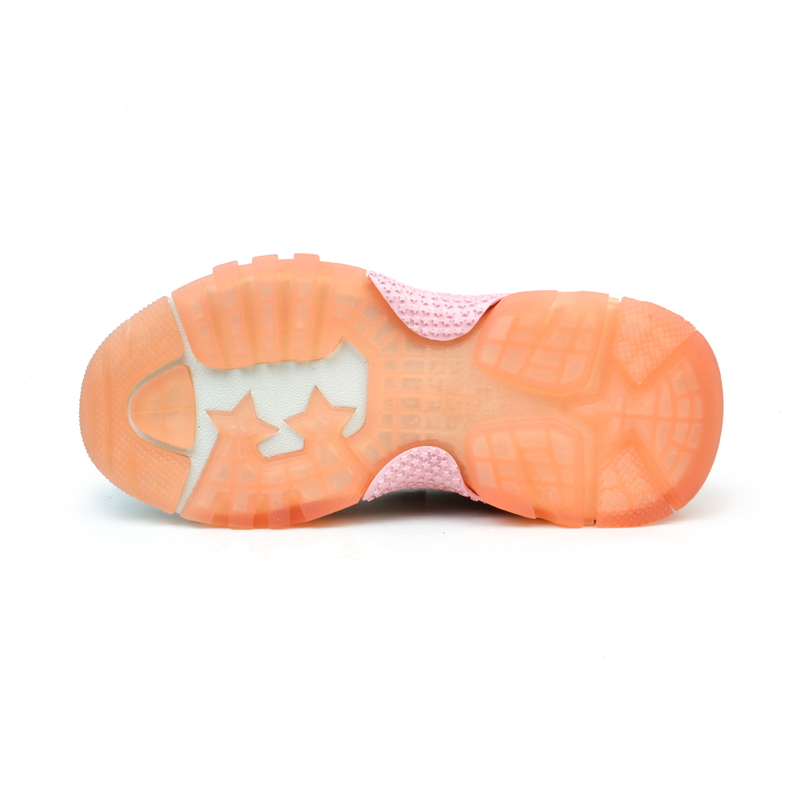 Playful star embossed details sit underneath for a modern touch.